Platform beds are now one of the most popular types of bed frame, replacing the traditional box spring in favour of a more modern, functional aesthetic. 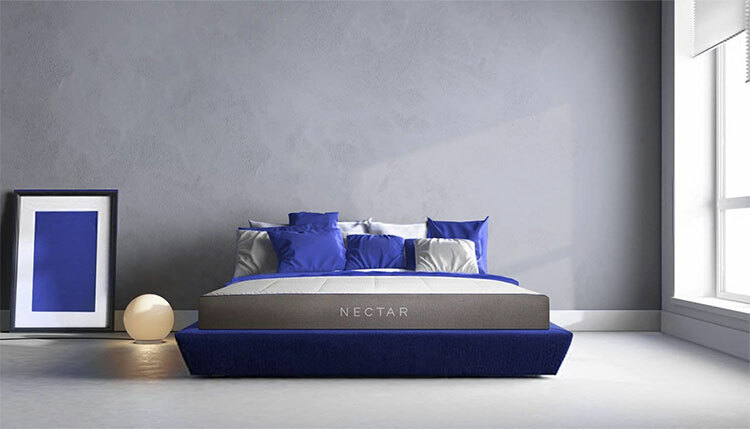 Our pick for the top mattress for a platform bed is the Nectar Mattress, a high-quality, memory foam mattress, designed to provide a comfortable, supportive night’s sleep on any bed frame you choose to put it on. Our runner-up is the Helix Sleep mattress, an innovative company who have created a sleep quiz designed to match you with the perfect mattress to suit your individual sleep style. One of the biggest benefits of a platform bed is that it can be used with many types of mattresses and often saves the expense of investing in a box spring, giving you more budget to invest in a high-quality mattress. A platform bed is a simple bed frame that acts as a built-in foundation for a mattress. It can either be in the form of a raised solid flat surface or have a slat support system, often made of wood or metal. Although you can use a box spring with a platform bed, it is not a requirement and will not necessarily improve the feel of your mattress – although it will raise the profile of your bed if you prefer a higher bed to make getting in and out of it easier. Available in a wide range of styles, another appeal of a platform bed is the ability to have under-bed cabinets or drawers, allowing for extra storage space in your bedroom. If you’ve decided to upgrade your traditional box spring bed to a platform bed, you may be wondering whether your old mattress can be simply transferred to your new frame. The reality is that some mattresses are better suited to platform beds than others. Memory Foam – Memory foam mattresses are possibly the best-suited type of mattress for platform beds, as their construction is best suited to a solid, non-flexible foundation. It’s best to have a platform bed with evenly spaced slats to improve a memory foam mattresses breathability, but you should take care to ensure the slats are not too widely spaced (no more than 3 – 4 inches apart, ideally) which could cause the memory foam to sink and sag between the slats. Latex – Likewise, latex mattresses can be a great option for a platform bed. This type of mattress is also best suited to sturdy, solid foundations but, again, care should be taken to ensure slats are not too widely spaced apart. If you are looking into a latex mattress, it is worth checking that your platform bed does not have a maximum weight limit, as latex mattresses are typically heavier than their memory foam or innerspring counterparts. Hybrid – Hybrid mattresses often combine the best elements of different types of mattresses into one, whether that’s a combination of foam and springs, latex and foam, or springs and latex. These mattresses can provide a great balance of firmness, support, and comfort for a platform bed – especially a latex hybrid, which will weigh less than a traditional latex mattress. As the most budget-friendly type of mattress, you may be tempted to use your innerspring mattress on your platform bed. Many innerspring mattresses, however, are designed to be used with a box spring and you could run the risk of voiding your warranty by using this type of mattress with a platform bed – not to mention experiencing discomfort due to your mattress not having sufficient support underneath it. It is always best to check the manufacturer’s suggestions and warranty first, but innerspring mattresses would not be our top pick for a platform bed. The Nectar Sleep Mattress is a high-quality memory foam mattress, designed to provide cooling comfort for all sleeping positions. Ideal for all bed types, from a traditional box spring to a platform bed, this mattress is designed with versatility and comfort in mind – and you’re given an entire year to test it before you need to commit. You and your partner sleep in different positions: The Nectar Sleep Mattress is designed to be suitable for all sleeping positions, whether you’re a front, back, or side sleeper – or a mix of all three! If you and your partner have different sleep preferences, the medium-firmness of this mattress should provide the ideal balance between support and comfort for both of you. You want a mattress suitable for more than one type of bed: Not all mattresses are suitable for use on any bed frame, so the Nectar Sleep’s versatility is a huge bonus. Paired with a Forever Warranty, you’ll be investing in a quality mattress that will last, even if you decide to move away from a platform bed in the future. You tend to sleep hot: One of the biggest downsides to memory foam mattresses are their tendency to trap heat, but the Nectar Sleep tackles this problem with two layers of gel memory foam to increase air circulation, while the Tencel® cooling cover helps to wick away heat while you sleep. You want to test your mattress before you buy: This mattress comes with a 365-night sleep trial period, so you have an entire year to decide whether it’s right for you, before committing to buying it. The Nectar Mattress is an 11-inch thick mattress constructed from four different layers of performance foam designed with cooling and comfort in mind, topped with a quilted cover. The quilted Tencel® long staple cotton cover is fully removable and made with an aloe-based cooling layer, designed to wick away excess heat and provide a breathable surface that keeps you the perfect temperature as you sleep. The four layers of memory foam that make up the Nectar Mattress are all designed to offer different elements of comfort, cooling, and support. The top layer is a thin layer of quilted gel memory foam, designed to provide additional comfort, as well as increase air circulation within the mattress. Next is a 1-inch thick fast-recovery gel memory foam layer, designed to add yet more cooling properties to the mattress, as well as distribute your body weight evenly, for contoured support. The 3-inch layer below is composed of adaptive Hi-Core memory foam to support your body, while also providing enough bounce to make the mattress comfortable. Finally, the base layer is a 2.2-pound high-density base foam layer that supports and reinforces the other layers. The Nectar Mattress is described as medium firm, providing contouring support to relieve pressure points and reduce muscle aches and pains, while still retaining slightly more bounce than traditional memory foam mattresses. This mattress is designed for long-term support with added comfort and should suit any sleeping position. Some reviews suggest that the Nectar is best suited to back sleepers, while some side sleepers add a topper, to make the mattress a little softer to sleep on. Couples report that the Nectar is excellent in terms of motion transfer, with a strong edge support to ensure you don’t wake your partner when moving around at night or getting in or out of bed. The Nectar Sleep Mattress comes with a Forever Warranty, as well as a 365-night sleep trial period, to give you plenty of opportunities to test the mattress for yourself before you commit to buying it. Nectar reports that less than 3 percent of users return their mattress, but it’s a huge bonus to have so much time to decide if it’s right for you. This mattress comes in six different sizes, all of which are compatible with all bed frames, including platform beds. With fantastic edge support, comfort, minimal motion transfer and a long sleep trial period, the Nectar Mattress is a high-quality product that is guaranteed to be a great fit for your platform bed. Helix Sleep has created an entire ‘sleep quiz’, designed to help match you with the very best bed for you (and your partner, if you are sharing). With a range of mattresses suited to different firmness preferences, body shapes, sleeping styles, and more, Helix Sleep provides a fully customisable experience to find the perfect mattress for your platform bed. You are not sure what type of mattress is best for you: The Helix Colour MATCH sleep quiz is designed to find the perfect bed for you, based on a number of factors, from your height, weight, and age, to which position you typically sleep in. If you’re unsure what kind of mattress is best suited to you, the sleep quiz can be a fantastic tool. You share your bed with a partner and have different sleep preferences: Helix has a dual-balanced mattress that has different feels on either side to suit both you and your partner’s preferences. With no seam down the middle, this is a great option for finding a mattress that suits you both while still staying in the same bed! The Colour MATCH quiz takes both of your preferences into account to find the right two sides to suit each of your sleep styles. You want a removable mattress cover: The top cover of all Helix mattresses is removable and machine washable, so you can easily keep your mattress cover clean and hygienic. You need a mattress for a plus-size or tall sleeper: Helix has a mattress called the Helix Nightfall, a 12-inch mattress with an extra layer of foam and high-density materials specifically designed for plus-size and tall sleepers. If you are a plus-size person, just make sure that your platform bed doesn’t have a weight limit, especially if it has slats, rather than a solid base. Helix Sleep is somewhat unique, in that they have designed a sleep quiz to help match you with the perfect mattress, rather than provide one mattress that promises to suit all preferences. With over six different mattresses, varying in firmness, support, and sleep position, Helix guarantees that their Colour MATCH sleep quiz will find the right mattress for your individual requirements. Helix mattresses are constructed from foam varying in density and firmness, in order to customise the mattress to suit specific sleeper requirements. While layers differ depending on what mattress you are matched with, all mattresses include a removable, machine washable top cover made from 100 percent polyester and a lower cover made from a jersey knit fabric with a woven fire barrier. Helix uses a number of different foams in their mattresses, including Memory Plus Foam, a special blend that provides contouring and cushioning. They also use their signature Helix Dynamic foam as a comfort layer. This is a latex-foam hybrid layer that has been specially designed to cushion your body for optimum support. Helix Sleep also uses high-grade polyfoam to provide pressure relief and support, and DurDense foam for durability and base support. Aside from foam, individually wrapped coils are used in the construction of the mattress. These not only provide additional comfort and minimise motion transfer but can also be effective at reinforcing the mattresses edge support and cooling the mattress. 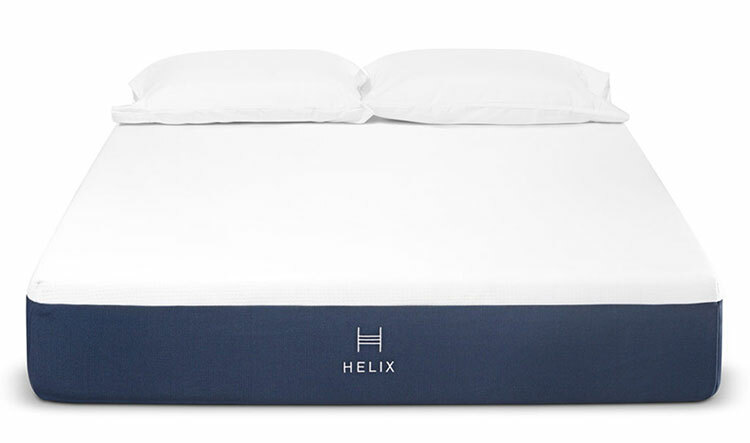 The Helix Sleep range varies in firmness, ranging from plush to firm with different levels of support. What’s more, Helix also offers the option of two firmness levels in one mattress, for example, one-half soft and the other firm, so this could be a great option if you and your partner have very different sleep preferences. Helix offers a 10-year warranty to protect you from any factory defects and also provides a 100-night sleep trial period, to give you plenty of opportunities to test how well your mattress suits your needs. Helix mattresses are best suited to platform beds with firm, thick slats, no wider than five inches apart, as any wider could cause sagging and potentially void the mattresses warranty. Provided your platform bed suits these requirements, a mattress from Helix Sleep is a great choice for a platform bed, providing a fully customised mattress designed to suit your individual sleeping requirements exactly. The Nest Alexander Signature Hybrid mattress claims to have the “most innovative copper infused foam on the planet”, offering a luxurious, comfortable mattress with impressive cooling capabilities. If you’re looking for a hybrid mattress that combines the best of springs and foam, this could be a fantastic option for your platform bed. You tend to sleep hot: The Alexander Signature Hybrid cooling system is seriously impressive. Featuring a layer of TitanChil Endurance Foam®, copper-infused Energex foam, a 1.5-inch layer of gel-infused memory foam, and cooling Thermic Phase Change fabric in the cover, this mattress has thought of everything when it comes to keeping you cool while you sleep. You want a hybrid mattress: While an innerspring mattress isn’t always suitable for a platform bed (they are often designed to be used with a box spring), the Alexander Signature Hybrid combines the best features of an innerspring and memory foam mattress to provide a comfortable, supportive surface that is ideal for use on a platform bed. You want great support: This mattress has individually pocketed coils, as well as edge support coils around the perimeter, providing a highly supportive mattress that will not roll you out of the bed or into your partner. 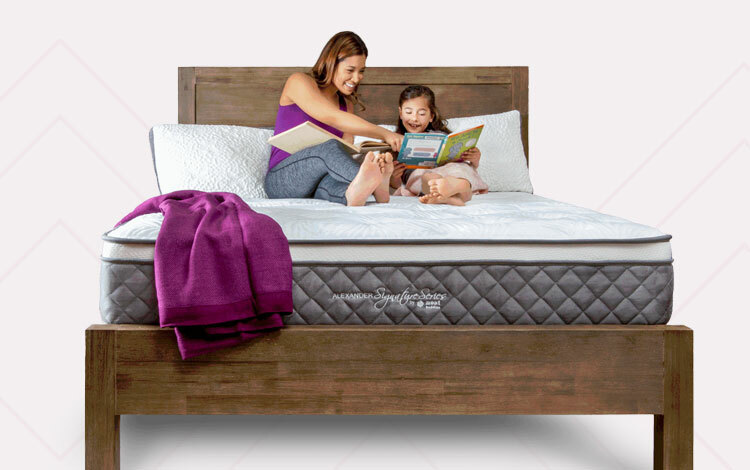 The Alexander Signature Hybrid mattress is a 14-inch thick mattress designed specifically to be used with non-flexible bases, such as platform beds and closely slatted frames. The top layer consists of Thermic Phase Change cooling fabric quilted to a 1.5-inch layer of gel-infused memory foam below. The quilting is designed to help your body regulate its sleeping temperature, for a cool, comfortable surface. Underneath, the gel-infused memory foam – made from Nest’s TitanChil Endurance Foam® – provides more cooling and ergonomic comfort. The next layer is what Nest call the “most innovative copper-infused foam on the planet”, a 1.5-inch thick layer of Copper Infused Energex foam that actively pulls heat away from your body and into the copper, making the mattress very cool to sleep on. The final two layers are a 1-inch thick layer of 3-pound SmartFlow support foam, followed by an 8-inch thick layer of quantum edge pocketed support coils, to provide deep compression support and help air travel through the mattress. The mattress also comes with handles on the side panels – a useful feature for easily adjusting and repositioning your mattress when it is delivered and unpacked from its box. The Alexander Signature Hybrid comes with three different firmness options: plush, medium, and luxury firm. If you are a heavier sleeper, you may find the luxury firm option supports your weight more evenly while sleeping, while the plush option may provide a more comfortable surface for lightweight sleepers. Back and side sleepers will likely find the medium firmness option best for them, offering excellent spinal alignment and support but with little sinkage. Memory foam beds are typically the most effective when it comes to minimising motion transfer, so this hybrid may have slightly more motion transfer than other mattresses on this list. That being said, the individually wrapped coils in the Alexander Signature Hybrid are highly effective at isolating motion, so, combined with the comfort layers on top of the springs, you will still find a good level of motion isolation with this mattress. 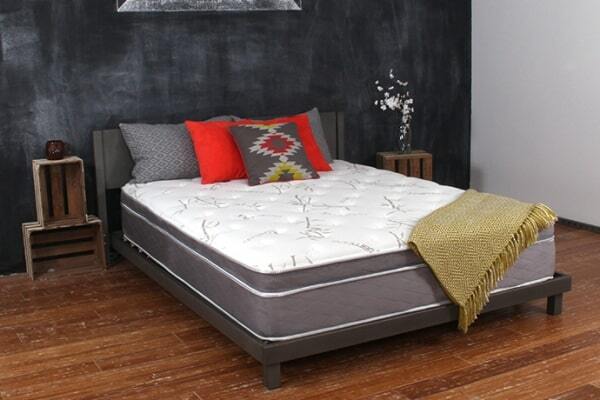 All foams used by Nest bedding are made in the USA and are CertiPUR-US certified with no flame retardant chemicals. Instead, they use hydrated silica as a fire barrier that encompasses the entire mattress. The Alexander Signature Hybrid comes with a 100-night sleep trial period and is ideal for use with a non-flexible platform bed with slats no more than 4-inches apart. Overall, this is a premium mattress option that offers excellent cooling and an ideal blend of support and comfort, and the lifetime warranty only adds to how much the company stands by their product. The Zinus Green Tea Memory Foam Pressure Relief mattress is a budget option that packs a serious punch. Designed for solid foundations, such as a platform bed, this is a high-quality memory foam mattress that relieves pressure and supports your body as you sleep – without the premium price tag. You need pressure-relief while sleeping: This mattress has a 2-inch layer of comfort foam (except in the 6-inch firm option), which eliminates pressure points and conforms to your body while you sleep, reducing the chance of you waking up with muscle aches and pains. You want a budget option: The Zinus Green Tea Memory Foam mattress is the least expensive on this list, while it still retains some fantastic features and excellent reviews for its quality, feel, and comfort. You don’t like off-gassing smells from memory foam: Infused with green tea extract and charcoal, this mattress will have better smell than other memory foam mattresses during its initial off-gassing period and also promises to keep on smelling fresh when you sleep on it. The Zinus Green Tea Memory Foam mattress is available in for different thicknesses: 6, 8, 10, and 12 inches. The 10-inch option provides an in-between feel that should suit any sleeper, while the 8-inch option provides a firmer feel. The Green Tea Memory Foam mattress is topped with a knitted jacquard fabric, which covers a layer of memory foam that ranges from 2 inches in thickness for the 8-inch mattress option to 3 inches for the 12-inch option. Next is a layer of comfort foam designed to conform to the natural shape of your body as you sleep, providing a support surface that relieves pressure from pain points in the hips, back, shoulders, and neck. The third and final layer is a base of high-density support foam, which also differs in thickness depending on which option you go for. This layer has a grooved structure on top, which helps air flow through the mattress and provides a cooler surface while you sleep. Zinus describes the Green Tea Memory Foam mattress as one of the plushest mattresses in their range although, as previously stated, you can opt for a softer or firmer mattress, depending on what thickness you choose. Memory foam is highly effective at isolating motion, so if you share your bed you should still be able to get an undisturbed night’s sleep, even if your partner has a tendency to move around a lot while sleeping. Zinus provides a 10-year warranty with every purchase to protect your investment against defects in workmanship and materials and you’ll also have a 100-night sleep trial period when you purchase the mattress, to be sure it’s right for you. Zinus specialises in platform bed frames, as well as mattresses, so this mattress is perfect for a non-flexible platform bed. 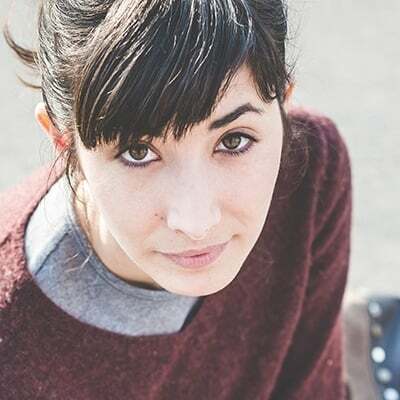 However, the mattress is also compatible with adjustable bed frames and box springs, so if you change your bedroom set up in the future your mattress can change with you. Overall, this is a high-quality mattress at a fantastic price. If you are looking for a memory foam mattress that will support your body and leave you feeling well-rested without breaking the bank, the Zinus Green Tea Memory Foam mattress makes the perfect accompaniment to your platform bed frame. The Ultimate Dreams EuroTop Latex mattress provides an excellent balance of cooling, comfort, and support, at a reasonable price. Made from hypoallergenic materials, this could be the ideal mattress for your platform bed if you’re an allergy sufferer or enjoy the contouring feel of memory foam but without the sinking sensation. You want a hybrid latex mattress: Latex mattresses are hypoallergenic, durable, and offer more bounce than a traditional memory foam mattress. However, they can also be heavy – so this mattress, consisting of both latex and foam layers, offers the comfort and support of a latex mattress without the added weight. You want a high-end bed with a lower price point: While still more expensive than some options on this list, the Ultimate Dreams mattress offers good value when you consider the quality of its materials and how much more many similar mattresses cost. You want a mattress with some natural materials: The Ultimate Dreams mattress cover is made from 100 percent biodegradable bamboo fibres and the mattress is also CertiPUR-US and OEKO-TEX certified. If having a mattress with natural materials is a high priority for you, this mattress is one of the better choices on this list. The DreamFoam Ultimate Dreams EuroTop Latex mattress is a 12-inch mattress combining both Talalay latex and foam. On top is a quilted, removable bamboo cover made from 100 percent biodegradable bamboo fibres with a 1.5-inch thick layer of super soft reflex foam underneath. The zippered cover allows for the removal of the Ultimate Dreams comfort layer – a 3-inch thick layer of Talalay latex, designed to instantly contour to your body for exceptional support and pressure relief. The Talalay latex comfort layer is aerated throughout for enhanced breathability, while the bottom layer of 8-inch high-density foam helps to increase airflow and conformability. Another great feature of the Ultimate Dreams EuroTop Latex mattress is that the company will customise the bed’s comfort level based on your preferences. Once you’ve ordered your mattress, you’ll receive an email with information on how to customise your mattress based on their 1-10 comfort scale, with one being a very firm feel and level 10, very soft. The latex and foam in this mattress combine to create a cool sleep surface that gently contours to your body, helping to reduce tossing and turning throughout the night, as well as minimise motion transfer between you and a partner if you share your bed. Finally, this mattress might appeal to you if you suffer from allergies – Talalay latex is hypoallergenic and therefore naturally resistant to bed bugs, dust mites, mould, and mildew. The Ultimate Dreams EuroTop Latex mattress is ideal for use on any solid base, including platform beds and bed frames with slats no more than 3-4 inches wide. 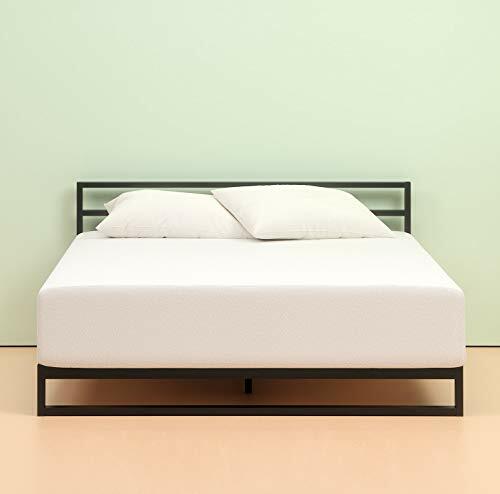 If you are an allergy sufferer or want the contouring feel of a memory foam mattress for your platform bed without the accompanying sinking feeling, this latex mattress might be the perfect option for you. Height – Platform beds can make the height of your bed lower than a traditional box spring frame, so it is worth carefully considering how thick you want your mattress to be, to add more or less height to your bed. Support – Platform beds provide a solid, non-flexible surface, so your mattress should offer all the support you need. It should support your pressure points and not leave you with any aches or pains in the morning. Comfort – Ideally, your mattress should contour to the natural shape of your body to provide a comfortable, gently supportive surface that alleviates pressure points. Having a good idea of what level of firmness suits you and your preferred sleeping position best is helpful. Weight – Some platform beds will have a weight restriction, so it is worth considering what the combined weight of you, your mattress, and your partner is before buying. As you can see, there is a wide selection of mattresses that are perfectly suited to platform beds. We recommend assessing your needs and always check that the mattress you are looking at is suitable for a platform bed, in order to determine the best mattress for you.